Millions of people each year receive interceptive orthodontics to correct bite and alignment issues. You may know these braces by the name of “child orthodontics” or “Phase 1” orthodontics. You might even know some children who have braces. 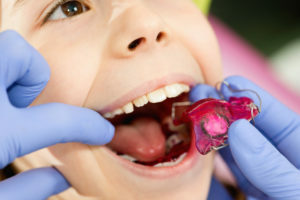 Many children need orthodontic help to ensure that their bite lines up correctly for a healthy mouth. There are also other reasons a child might need interceptive orthodontics, such as receiving them to help make room in the mouth for the adult teeth to come in. Find out what interceptive orthodontics entail and if your child needs them! 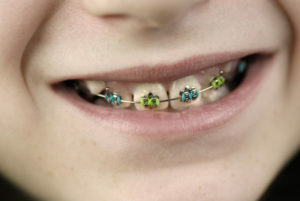 Many teens wear braces each year to straighten their teeth once the permanent, adult teeth have come in. Most permanent teeth have come into the mouth by age 12 or 13. However, braces aren’t only for teens who are wanting a straighter smile. 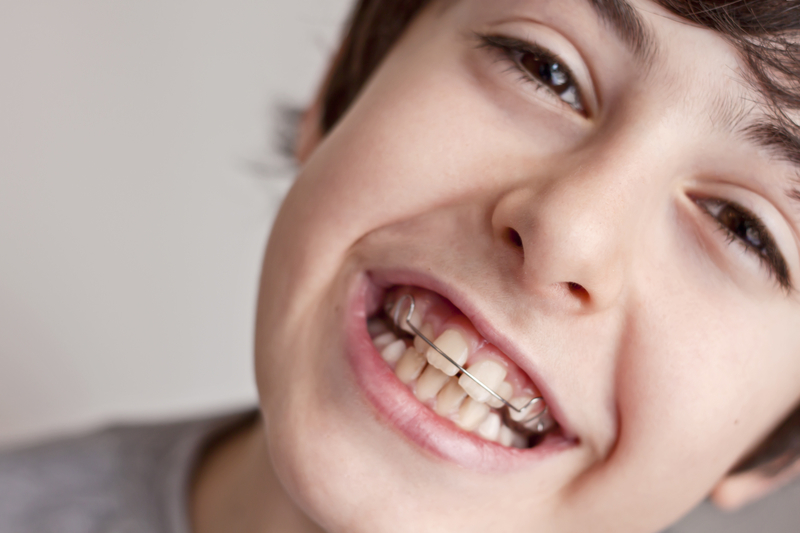 In fact, about 1/4th of all people with braces are children and about the same amount are adults. Many more people than you would think wear braces, especially when “invisible” options like Invisalign and lingual braces exist. When you choose to get braces, you are making a smart decision for yourself and for your oral health. Many people think that braces are only meant to help the teeth become straighter. Although that is one of the main reasons, there are many benefits of braces. These appliances are used to help fix crooked teeth, but also bites and mouth alignments that aren’t in proper position. There are orthodontic appliances when a patient only needs a few months to change a dental problem and there are even surgical options for orthodontics. But, why so many options when it comes to orthodontics? We love to allow our patients the freedom to correct their smiles how they want, when they want. You are never too old to get braces. Children get them all the time to fix bite problems, only to get them again later on for straightening. Adults wear them, especially if they are wanting to advance their careers. Studies show that an employer is much more likely to take a potential employee if they have a straighter smile. Orthodontic treatment is also proven to make people more confident in their smiles and in themselves. When patients get straighter teeth and fix dental issues, they smile more, talk more and exude more confidence. This can change someone’s entire life, especially a child’s. Interceptive orthodontics is another name for “child orthodontics”. If you are surprised that children get braces, don’t be! The American Association of Orthodontics actually recommends that children have their first orthodontic visit between the ages of 7 and 8. This is when many of the baby teeth are falling out, and a perfect time to see how permanent, adult teeth are coming in. An orthodontist can use the first orthodontic appointment to check your child for bite and alignment problems before they become severe as a child ages into a teen and then an adult. Do you want to give your child the best chance possible to have a healthy mouth? Make sure you involve an orthodontist in their early-childhood development! Interceptive orthodontics is not needed for every child, but for the ones who need it, it can change their life. If a child has enough crooked teeth, it can create uneven pressure on those teeth when they bite and chew. This can lead to broken, fractured, chipped and cracked teeth. The teeth are also much harder to clean when they are crooked, leading to tooth decay and gum problems in young children. If a child’s bite is not even or their alignment is off, it can also lead to broken teeth. When the baby teeth aren’t aligned correctly, the adult teeth won’t come in right. Children can have uneven bites form from thumb-sucking and similar habits that curve the teeth outward. This can create problems biting, chewing, talking, and more. Speech impediments can form and become worse over time if the problem isn’t corrected. No parent wants speech problems, tooth decay or dental injuries to happen to their child, and they never have to. Call Belmar Orthodontics today at (303) 225-9016 for your child’s comprehensive orthodontic exam and see if they need interceptive orthodontics today!